David the shepherd boy who would be the unlikely King that no one expected was an archetype (or foreshadowing) of Christ. Likewise, Saul who did all that was in his own power to resist the will of God concerning David’s kingship and set forth to kill David, was an archetype of Satan. Knowing this parallel, there is something that David did as soon as he was made King that I find very interesting and prophetic. Saul and most of his family had been killed, defeated, or cast out by the very hand of God, while David, by the same hand of God, had been made King. Yet one of the first acts as King preformed by David was to search out Saul’s lineage, not for damnation, but instead to the surprise of all for restoration. David finds Saul’s grandson, Mephibosheth, who was lame in his feet and calls him to come unto him. In this I am reminded of how Jesus told sinners that they were “of their father the devil”. David being an archetype of Christ and Saul being an archetype for Satan, Mephibosheth being a grandson of Saul was a type of sinner at least (or possibly even a type of gentile being of the other family). Mephibosheth recognizes David’s kingship and humbles himself before it, he answers David’s call and falls on his face before his majesty. He inters David’s courts with reverence and offers to be his humble servant. In this we see the way we ought to inter the courts of our Lord and King. In worship, in prayer, in repentance, or in petition, we ought to recognize, reverence, and fear the King. For this alone proves that we truly believe in His Kingship. At this point, the most remarkable thing happens. David (the type of Christ), does not kill, judge, punish, or cast Mephibosheth out. Instead he shows his great mercy and one of the greatest example of grace outside of Christ Himself ever portrayed in Scripture. 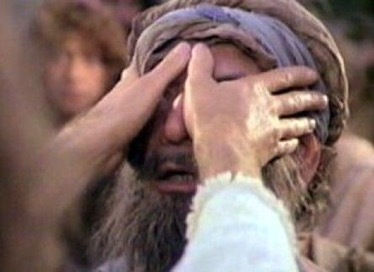 All that Saul had obtain, was given into David’s hands. His land, territory, servants, possessions, power, dominion, and authority, all of it was now David’s, and more. So what does David do? He pardons Mephibosheth and gives him dominion and authority over all that was once Saul’s, his grandfather. Now remember that scripture tells us that Satan was the ruler of this world. The territory, authority, and dominion was his. Yet Christ came and took the keys of the kingdom and was given all power, authority, and dominion. As soon as Christ assumed this Throne of thrones, He did what no one expected. He did what David did! He began to call the Devils own children, the sinner, the gentile, the lame, those who had tried to kill Him and prevent and mocked His kingship! He allowed them to now choose to recognize His Kingship and serve Him. He then, once having done so, He took the territory, authority, power, and dominion that had been taken from their father the devil, and gave it to them having adopted them into His own family and house hold! David did all of this for Mephibosheth as a foreshadowing of what Christ would one day do for us! David actually took Mephibosheth into his own house hold and family having told him that he would always have a place at his table and could come partake of his bread at any time. In doing so, he offered his communion to Mephibosheth. Free access to come and sup and commune with the King at will. In other words, he became family. Furthermore, David had one more grace to bestow on the undeserving Mephibosheth. He took servants from his own courts (an archetype for angels) and caused them to be put in subjection to the now redeemed Mephibosheth. He explained that Mephibosheth now had a place at his table partaking of his bread as one of his own sons and they were to serve under him, taking charge over him, caring for him and tending to both his needs and the lands and flocks that he had just been given. What an amazing picture of what Christ has truly done for us! Of how we should inter the courts of the King, with trembling reverence and humility. 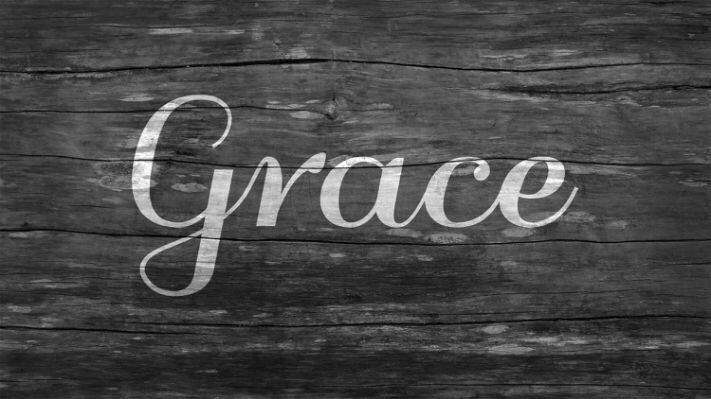 Yet most of all, what a perfectly painted portrait of the grace that is poured out on us from the Throne of Jesus Christ our King in who’s hands all authority, dominion, power, and might has been given. To then give back to the once son’s and daughters of his enemy unmerited, undeserved, favor, power, influence, authority, and dominion, and a place at his own table forever. That’s my king.